When a woman is carrying more than one baby, it is known as multiple pregnancies. If more than one egg is released during the menstrual cycle and each one is fertilized by a sperm, more than one embryo may implant and grow in the uterus. Increment has been seen in multiple pregnancies. This is because more women older than 35 years are having babies. Women who belong to this age group are at high risk of having twins. Another reason for the increase is that more women are undergoing fertility treatments to become pregnant. These treatments increase the risk of multiple pregnancies. A multiple pregnancy can affect the health of both mother and the child. 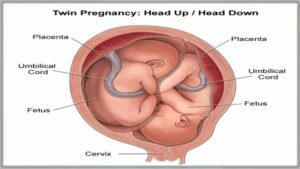 The most common complication of multiple pregnancies is preterm birth. Diagnostic tests for preterm births include Chorionic villus sampling and amniocentesis. However, these tests may be difficult to perform as each fetus has to be tested.